Captain Cyrus Falconer Fitton (USN RET) passed away on Tuesday, October 24, 2017, at home in Carmel, California. Cy was born in Hamilton, Ohio on October 28, 1921, and was the son of Don and Nannie (Vaden) Fitton. He graduated from Fairfield Township High School and attended Oberlin College. His studies were interrupted by WW II, but he went on to receive his BA & MS degrees from George Washington University and the National War College in 1967-68. Cy had an illustrious naval career, spanning 30 years. After graduating from flight training school as a torpedo pilot in 1942, Cy began serving in the Pacific Fleet flying the Avenger torpedo bomber. Participating in combat operations over Saipan, Tinian, Guam and the Philippines, and surviving two typhoons, Cy then returned to the states to go on leave and marry his college sweetheart, Jean Pells, on March 19, 1945. His naval career continued as he flew the heavy attack North American Savage and Douglas Skywarrior in both the Atlantic and Pacific fleets. Later, he was commanding officer of two heavy attack squadrons, was air officer and then executive officer (1963) of the carrier USS Forrestal. Following a two-year stint in the Pentagon and the National War College, he was assigned command of the deep draft stores ship USS Sylvania, home ported in Naples, Italy (1968). The culmination of Cy's naval career was becoming commanding officer of the aircraft carrier USS Lexington in 1969. In his final tour of duty, he served as Chief of Staff to Commander Carrier Division Seven in the South China Sea during the Viet Nam War. 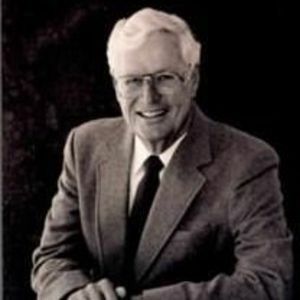 Cy and his family settled in Carmel in 1972 upon his retirement from the Navy. He was the longest-serving volunteer at Meals on Wheels, serving as a driver for 42 years and several years as a board member. He also served on the executive board of the Boy Scout Council. His other activities included membership in the Navy Flying Club. He and Jean flew their Cessna aircraft around the country for 16 years, visiting friends and relatives while dodging thunderstorms. He greatly enjoyed singing four-part harmony with the Cypressaires, the local chapter of the Barbershop Harmony Society (SPEBSQSA). Another of his most enjoyable activities was playing golf with Navy pals and members of the Monterey Peninsula Country Club, where he and Jean had been members since 1973. Cy and Jean have four children, Lawrence (Nancy) Fitton of Baltimore, Marcia Fitton of Santa Fe, Sarah (John) Feuerstein of Boulder and Cyrus Andrew (Ronda) Fitton of Bend. They were blessed with eight grandchildren, Lauren (Jason) Blair, Alejandra (Conor) Shinnick, Gabriel (Michelle) Fitton, Heather (Max) Schelble, Jamie Feuerstein, Jack Feuerstein, Keaton Fitton and Kirah Fitton. They also have five great grandchildren with one on the way. Cy was pre-deceased by his parents, by his wife, Jean, on March 21, 2017, and by his three younger siblings, Kate Irvine of England, Don Fitton and Vaden Fitton, both of Hamilton, Ohio. Cy and Jean celebrated their 72nd wedding anniversary this year. Cy and Jean were grateful to have their granddaughter, Jamie Feuerstein of Pacific Grove, devoted to their care and well-being for the last 3 � years. The family would like to thank caretakers Mary Molinari and Mary Lou Evans for their excellent service. The family also appreciates the care and comfort provided by the Hospice of the Central Coast. Cy was beloved by his family and friends for his wit, integrity, generosity, intelligence, and charm. Services for Cy will be Sunday, November 12, 1:00 pm at Church in the Forest, Erdman Chapel at Stevenson School, 3152 Forest Lake Rd, Pebble Beach, CA 93953. Memorial donations may be sent to Meals on Wheels of the Monterey Peninsula, 700 Jewell Ave., Pacific Grove, CA 93950.